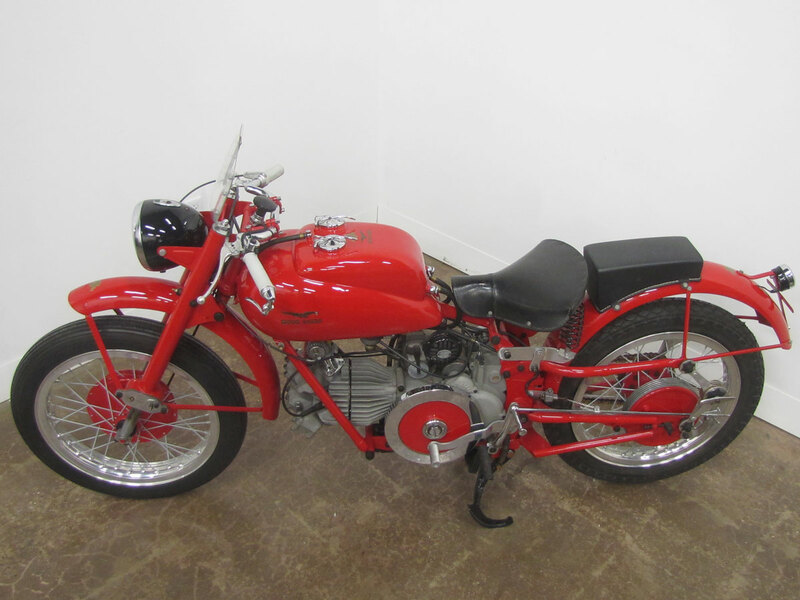 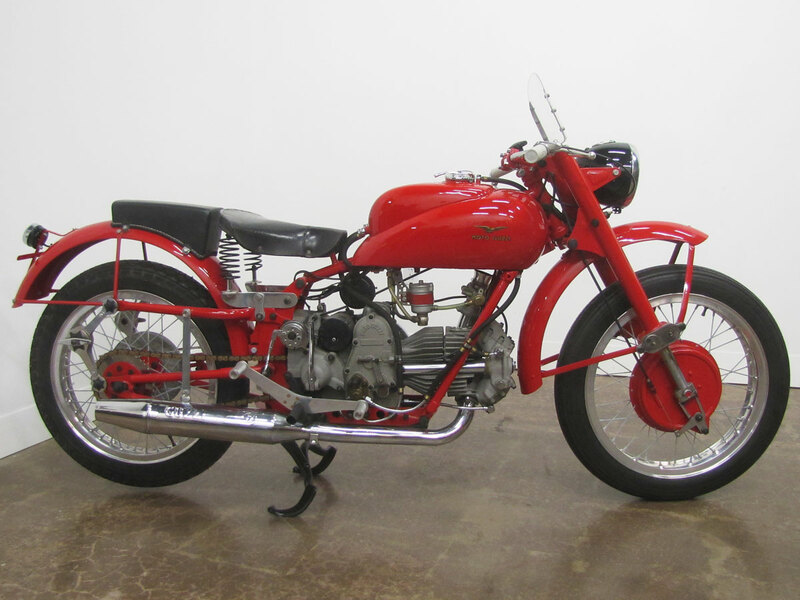 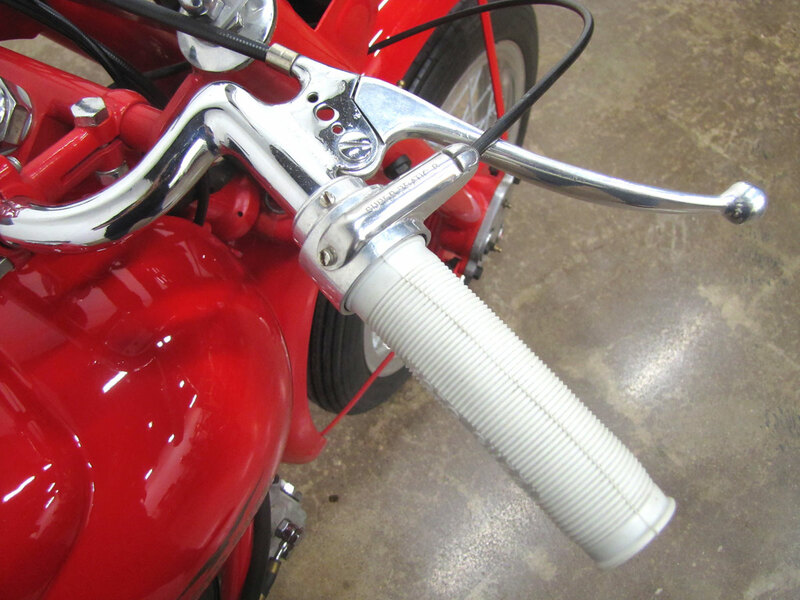 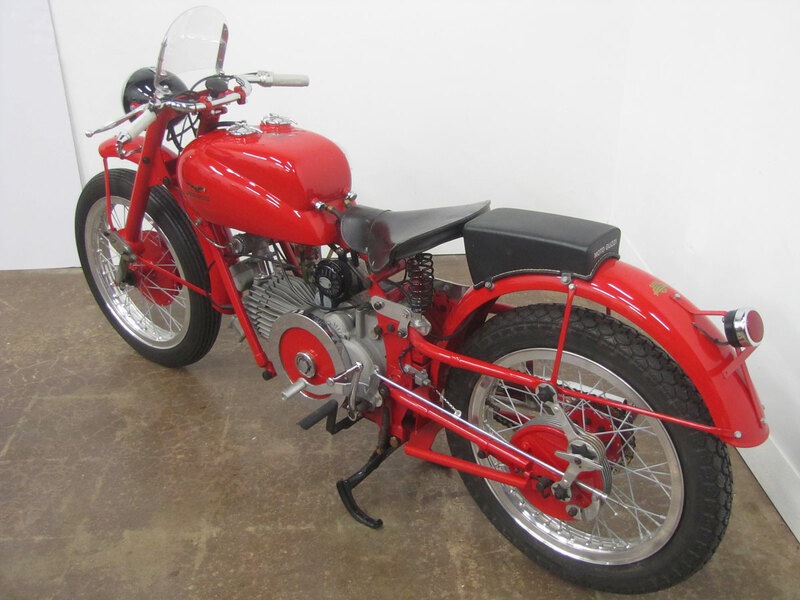 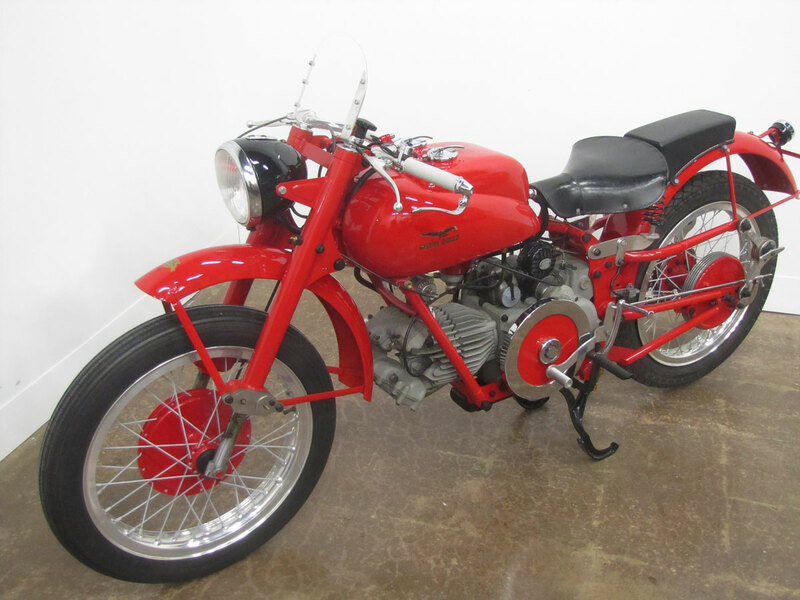 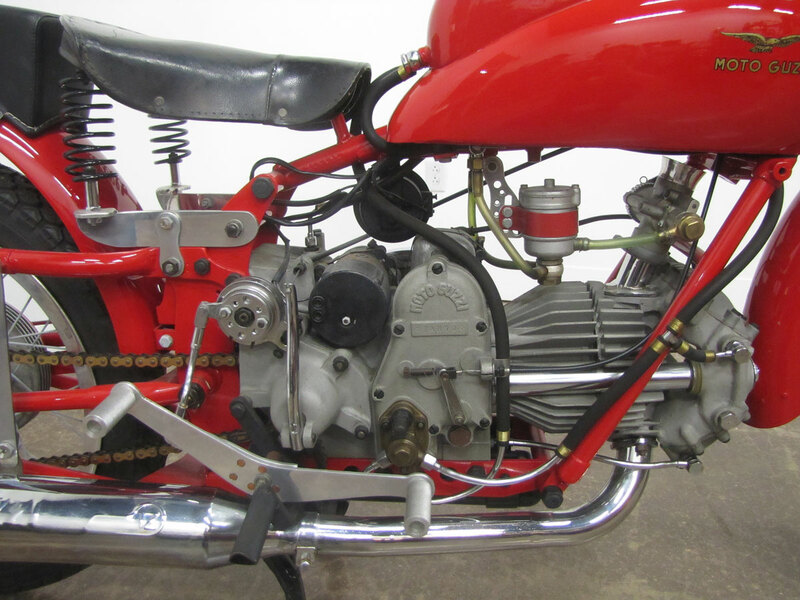 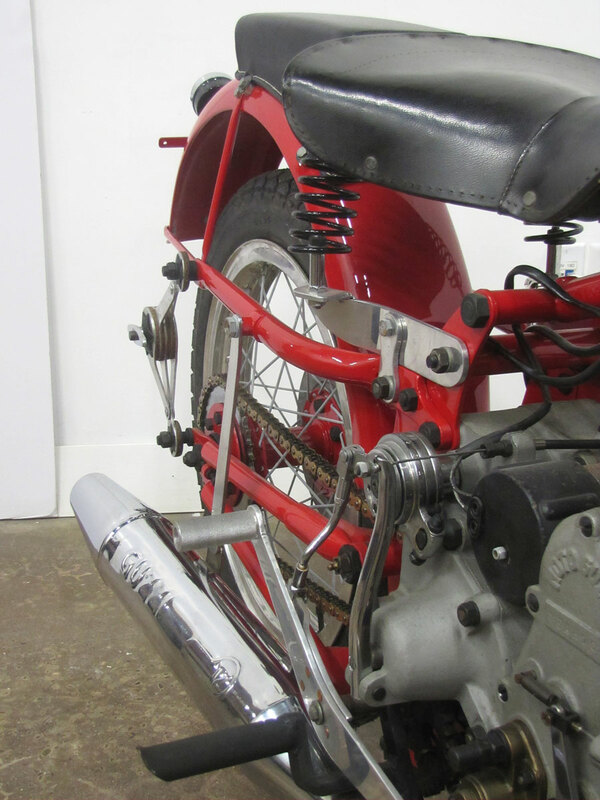 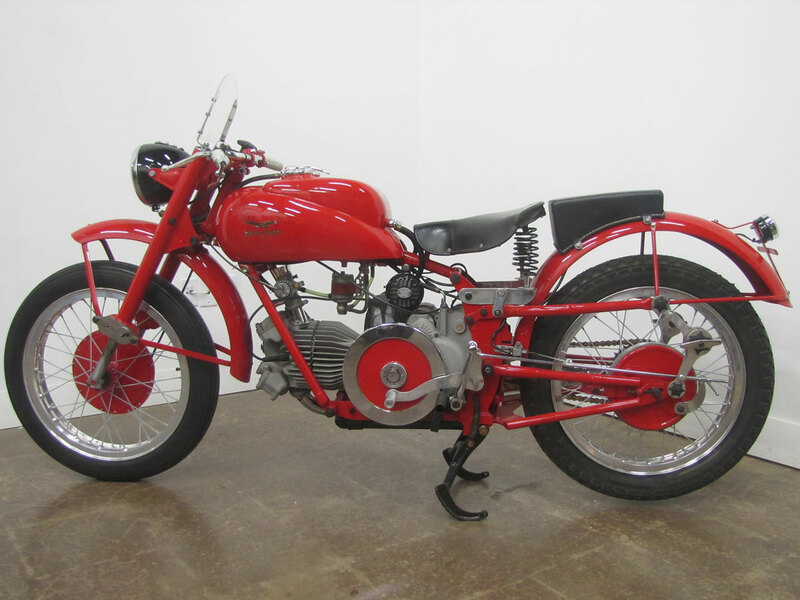 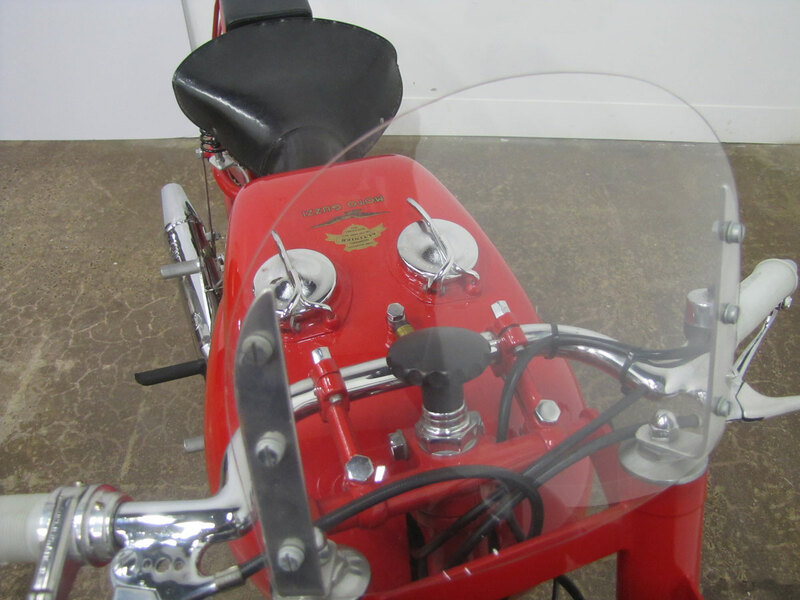 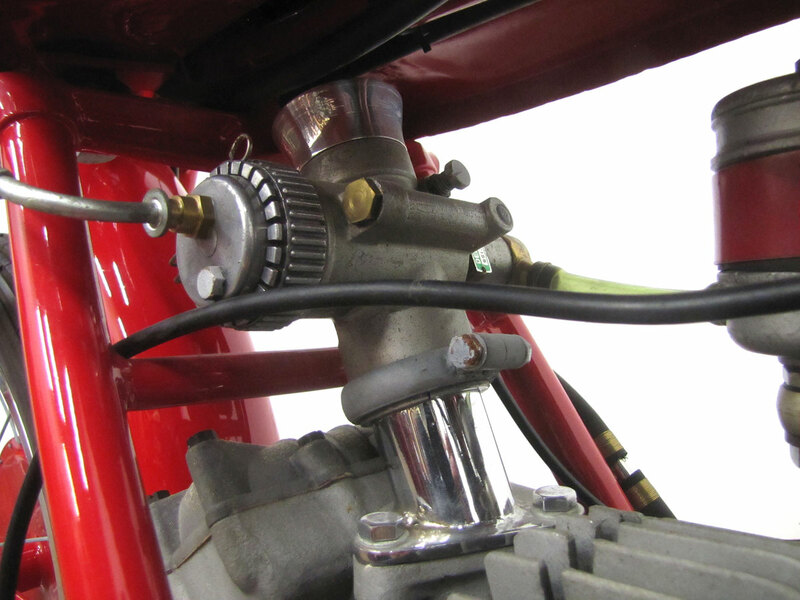 Looking closely at a Moto Guzzi in this era you will see the Italian company went its own way with innovative suspension systems and exposed flywheels, though the exposed valve train with “hairspring” style valve springs was a thing of the past. 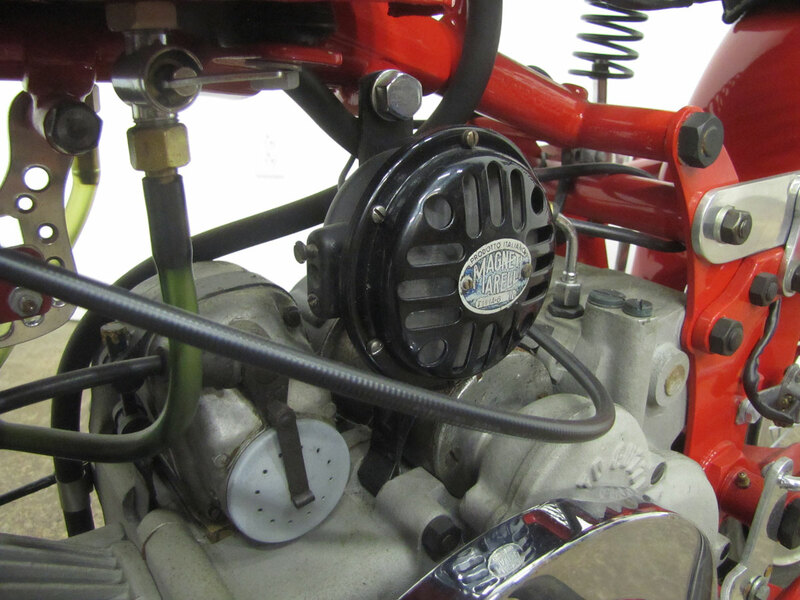 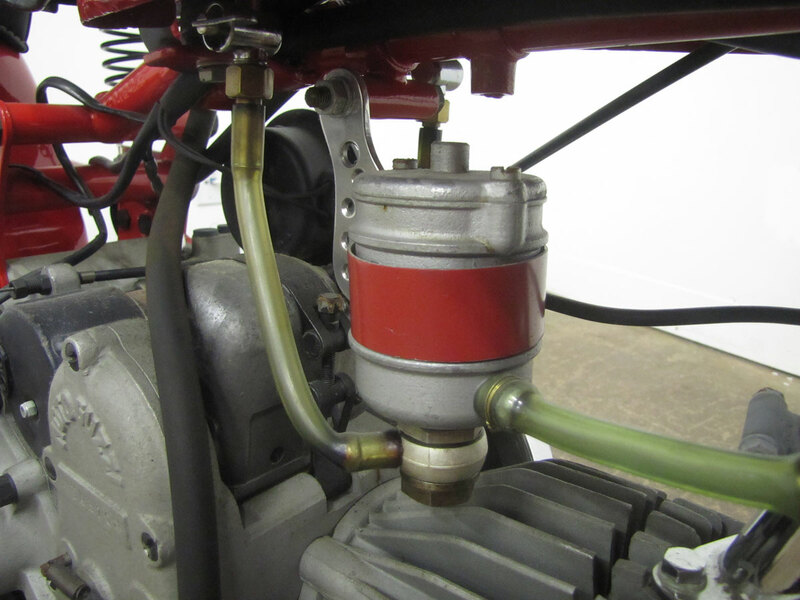 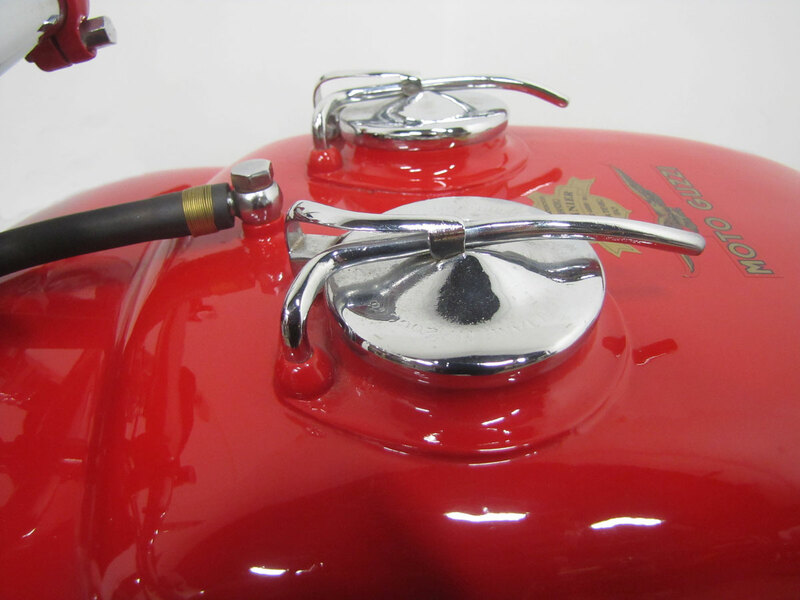 Most single cylinder motorcycle engines of the 1950’s used an overhead valve (OHV) vertical cylinder. 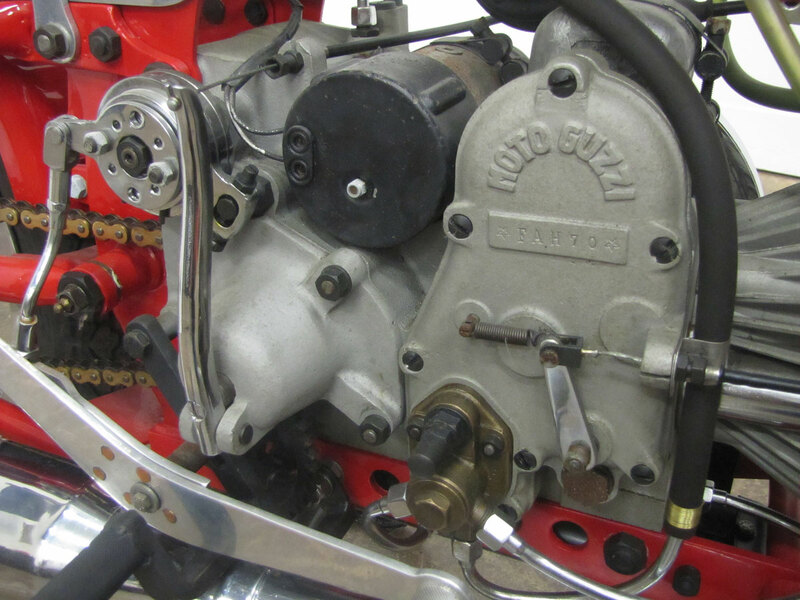 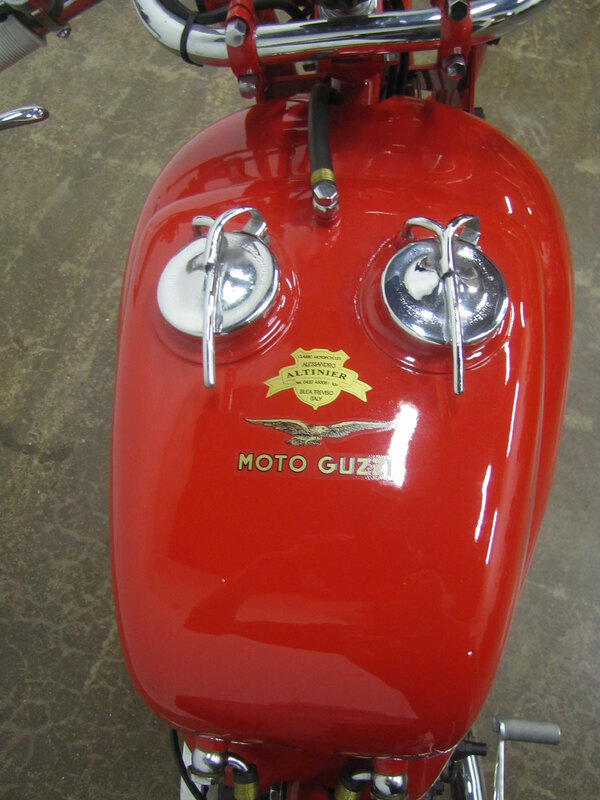 Moto Guzzi designs incorporated an unusual horizontal cylinder with a double overhead camshaft (DOHC) layout. 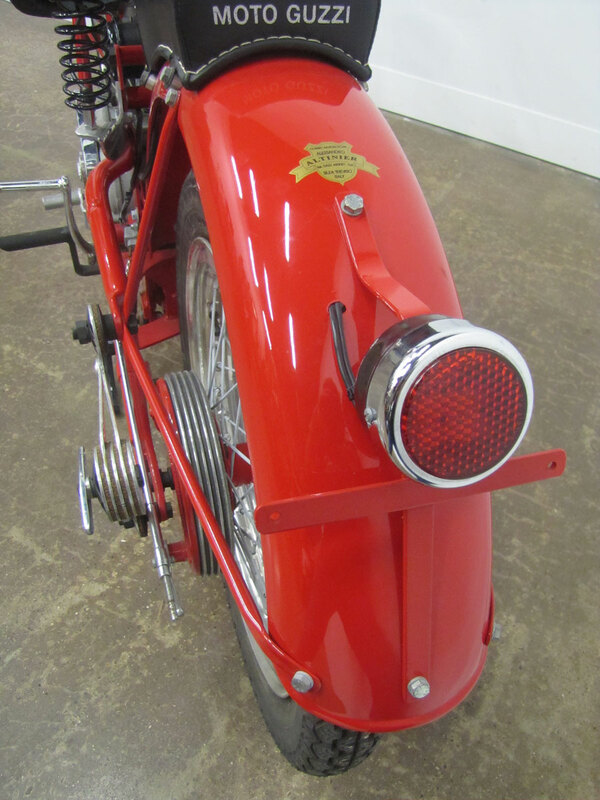 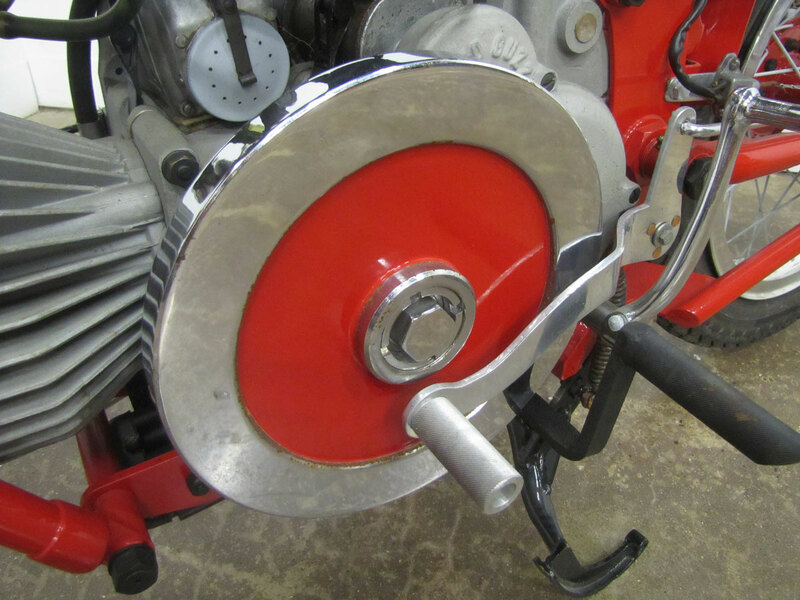 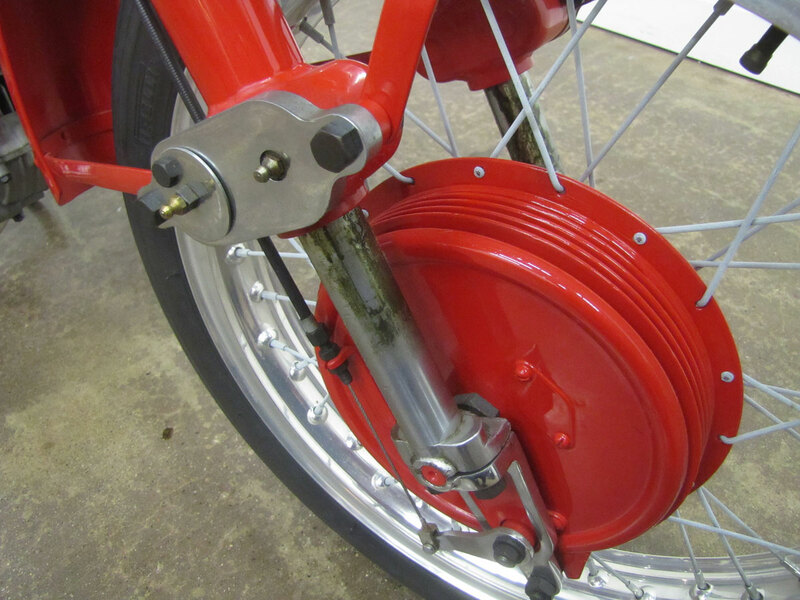 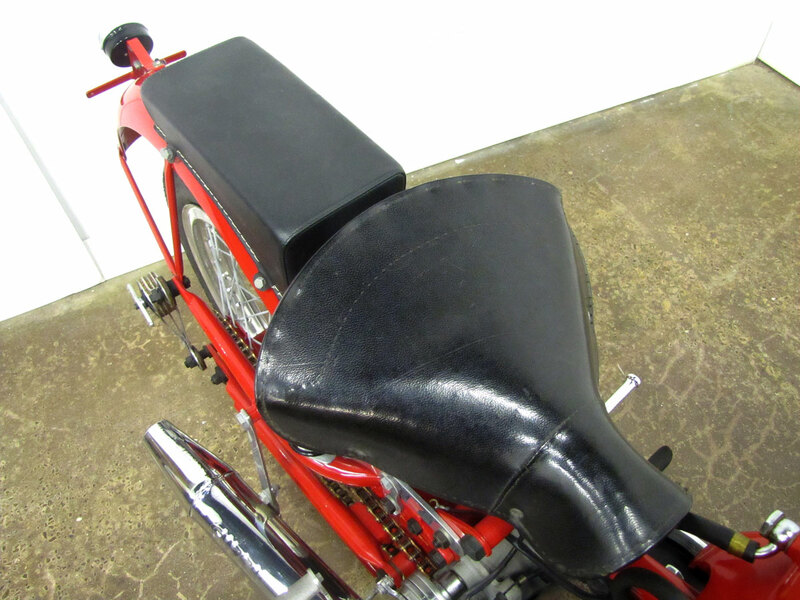 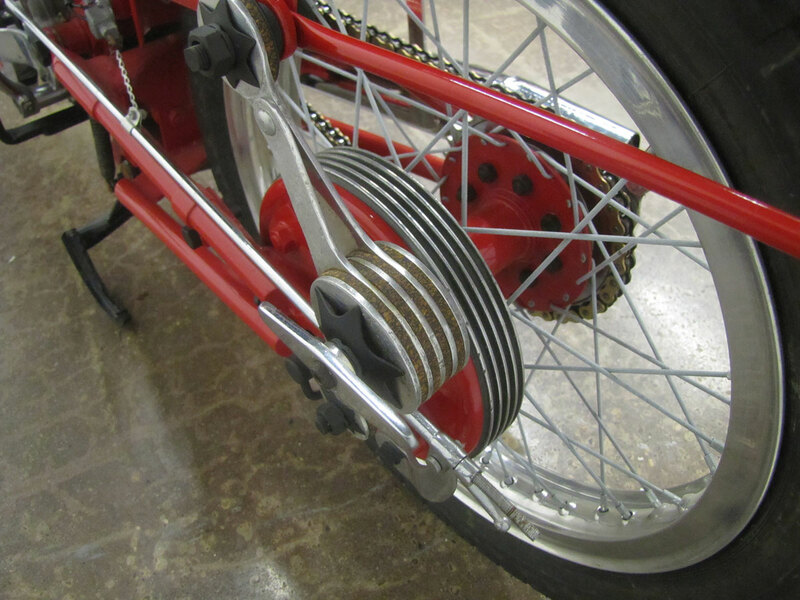 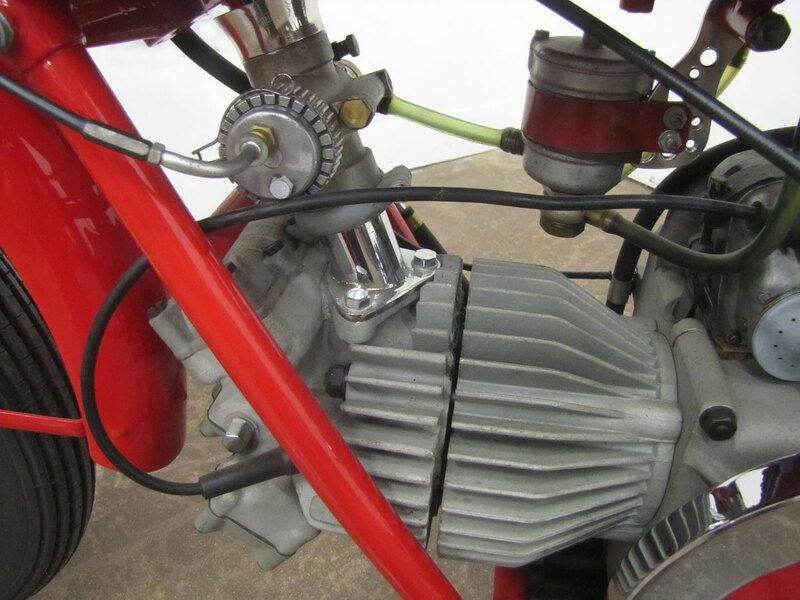 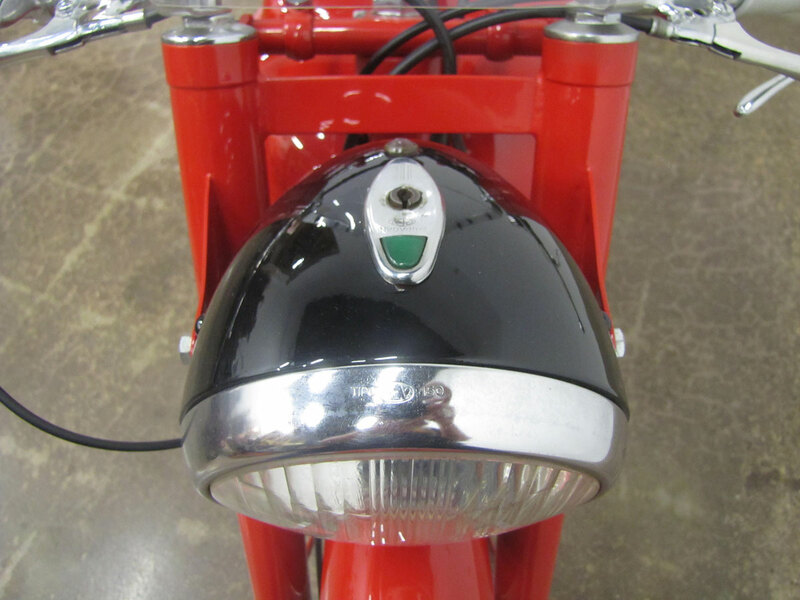 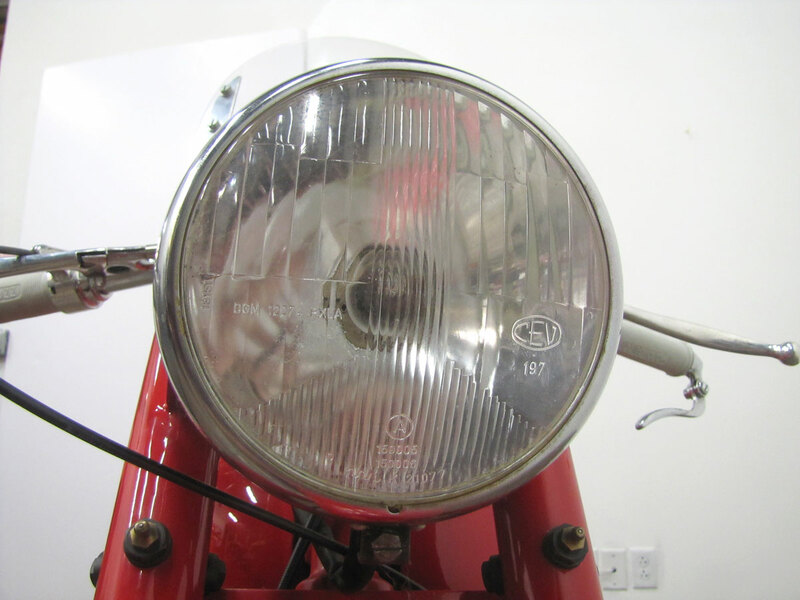 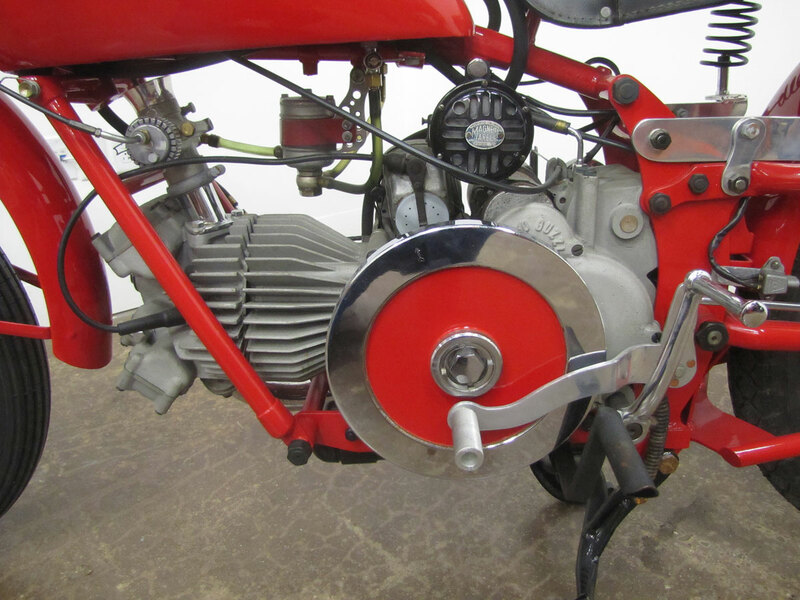 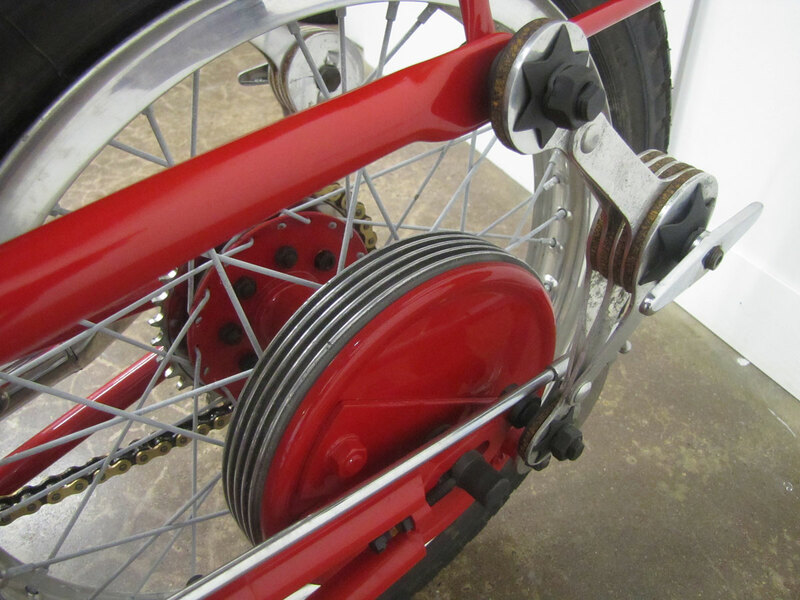 Also unusual was their design which put a large flywheel on the outside of the engine, which after a time earned the motorcycles the “bologna slicer” or “bacon slicer” nickname. 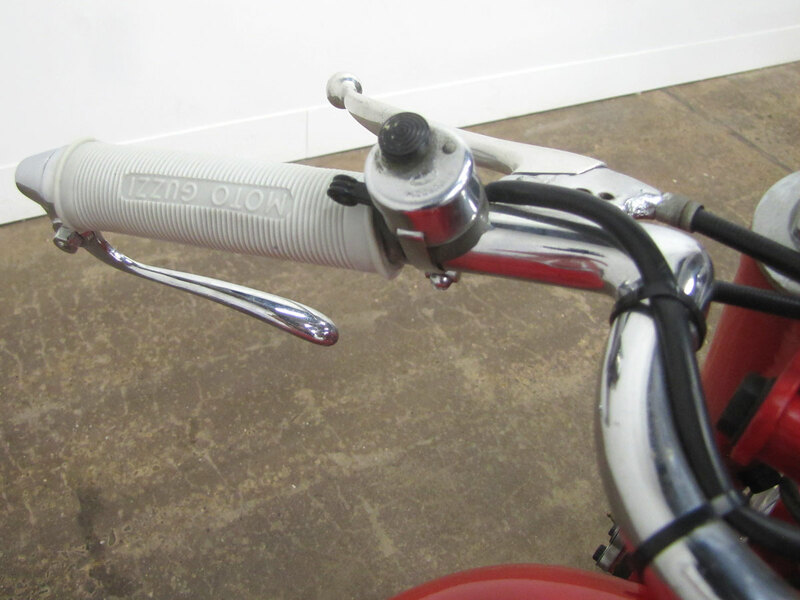 This design was produced through 1967. 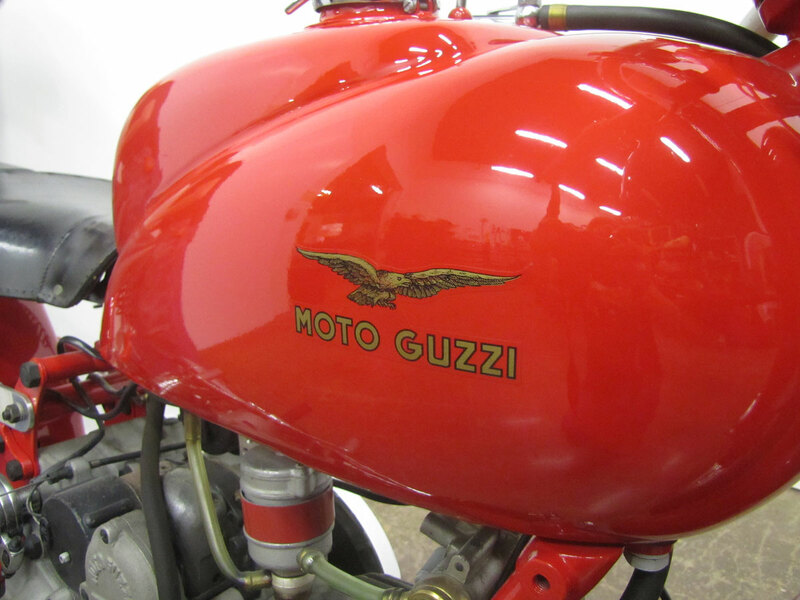 Giorgio Parodi and Carlo Guzzi, World War I veterans and mechanics, formed Moto Guzzi in 1921. 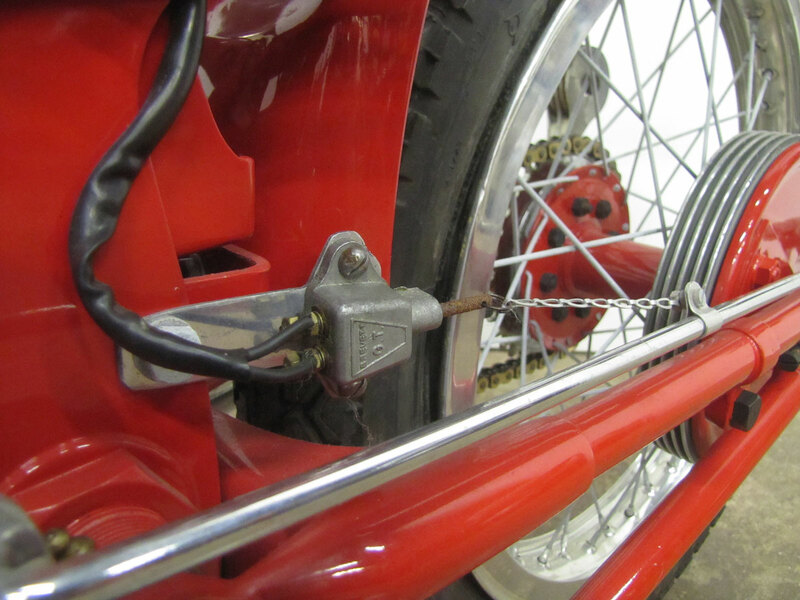 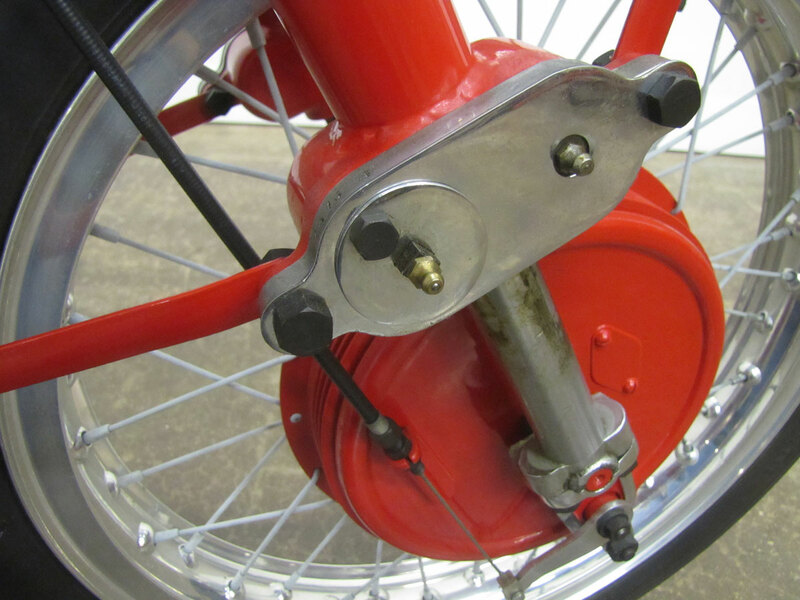 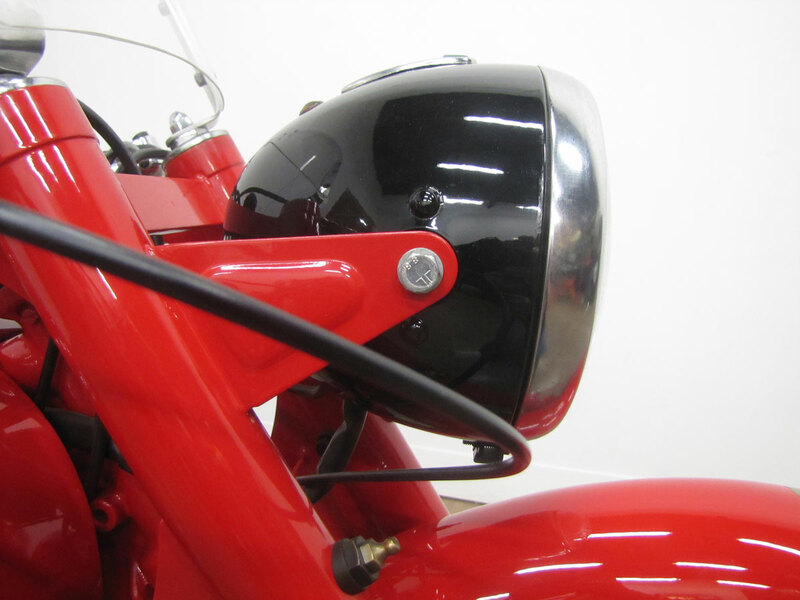 Advanced for its time, Moto Guzzi introduced its first rear suspension system in 1928. 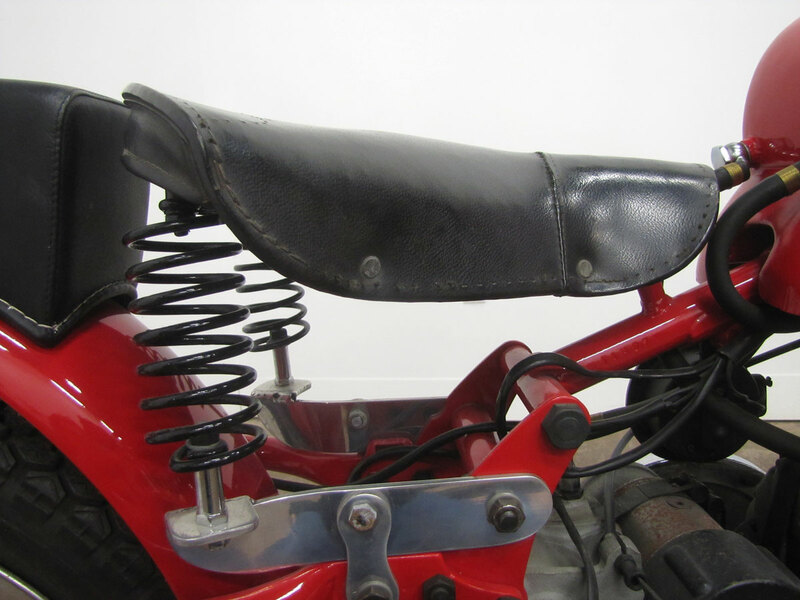 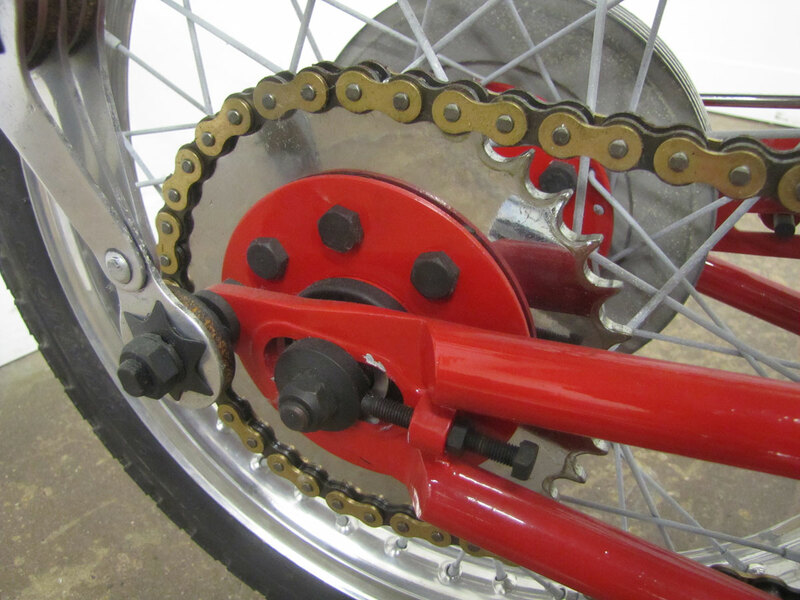 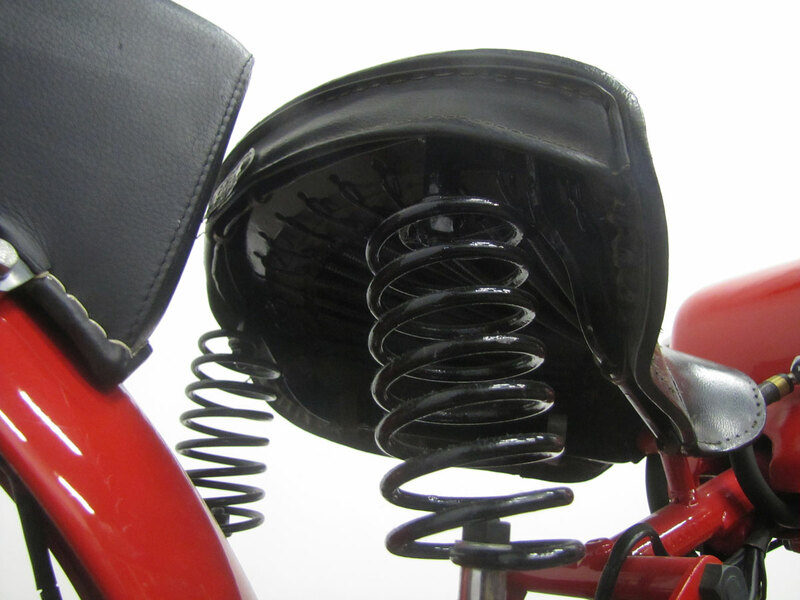 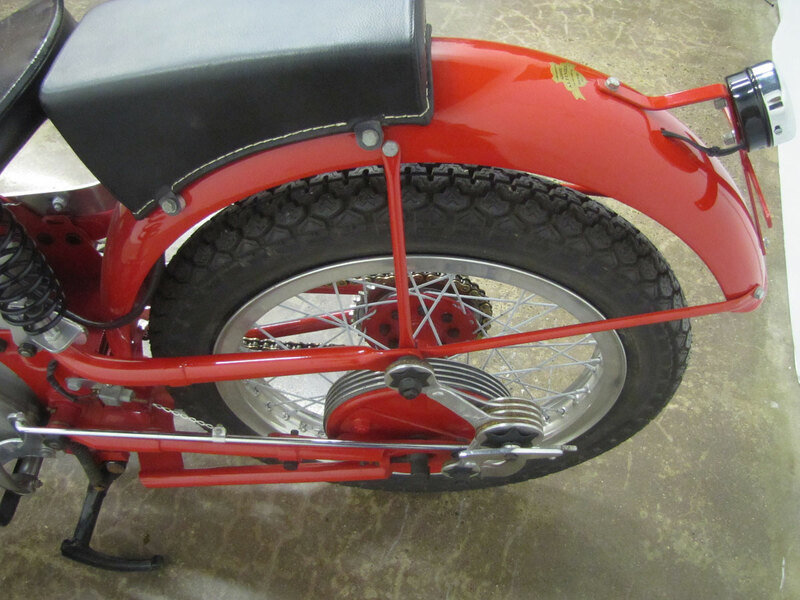 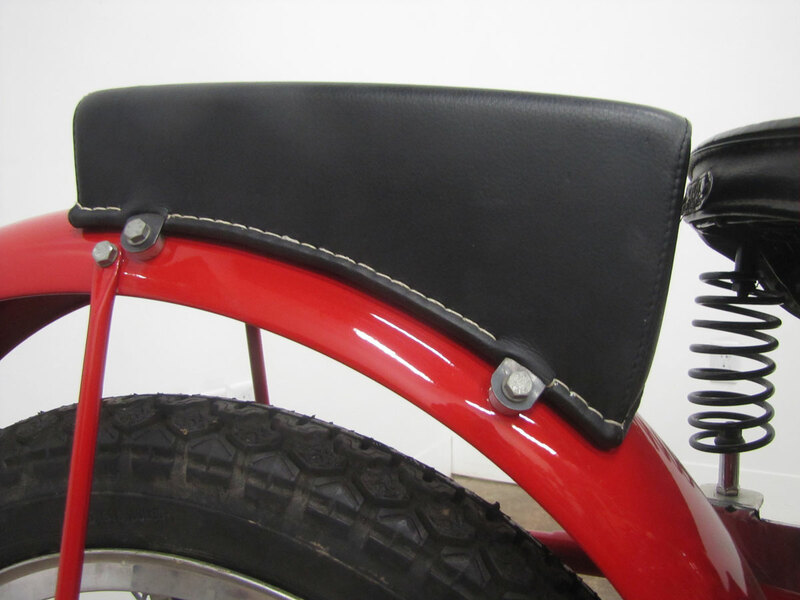 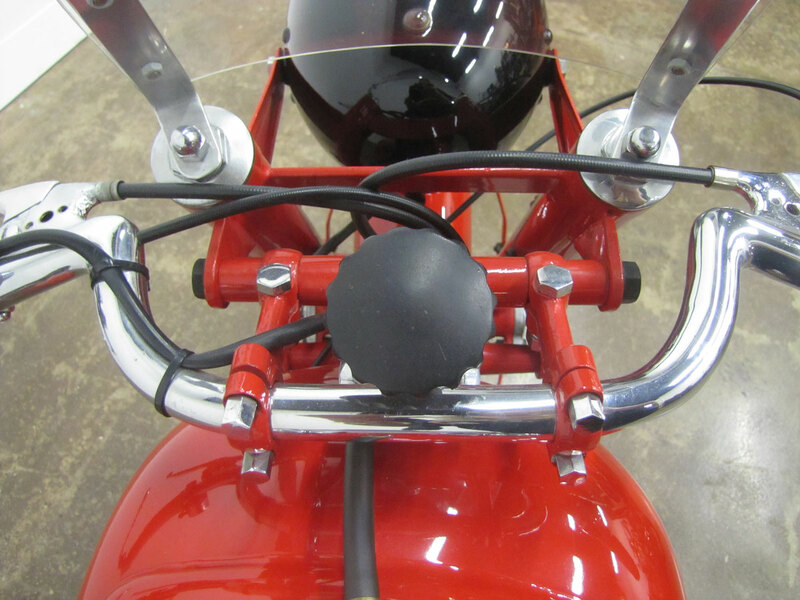 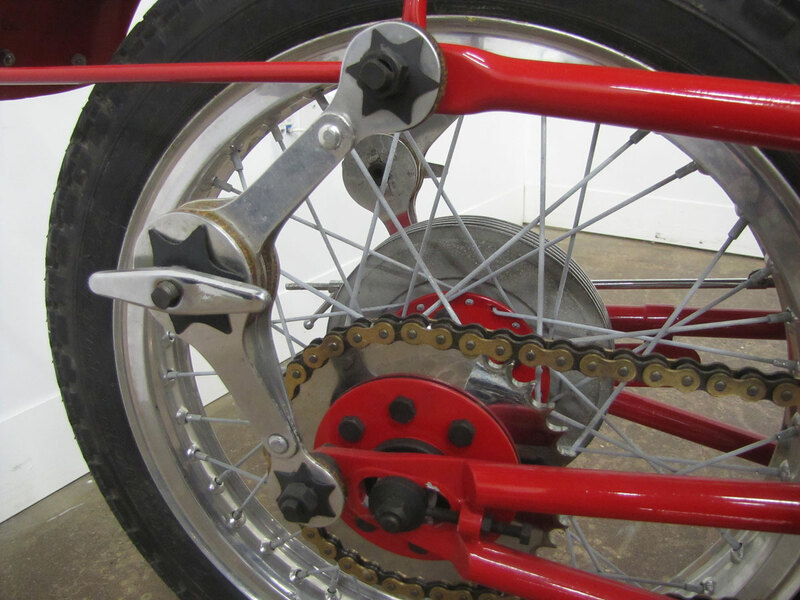 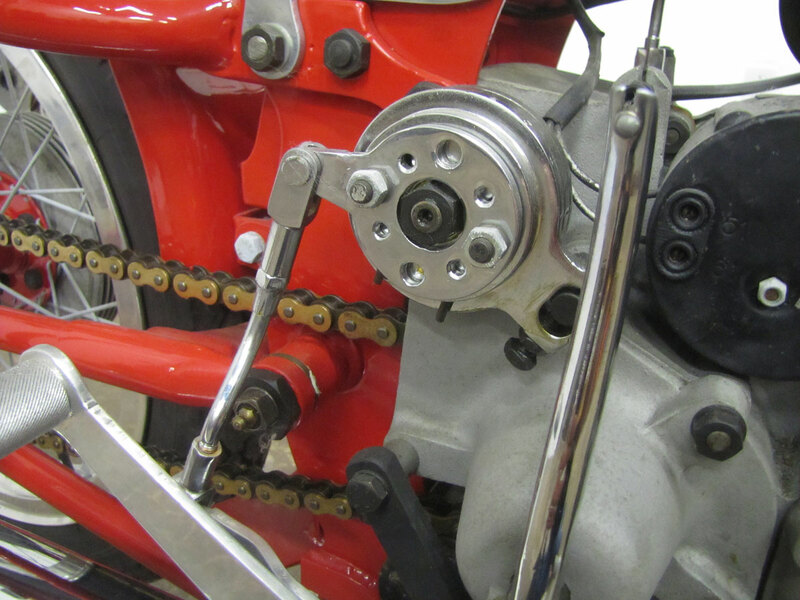 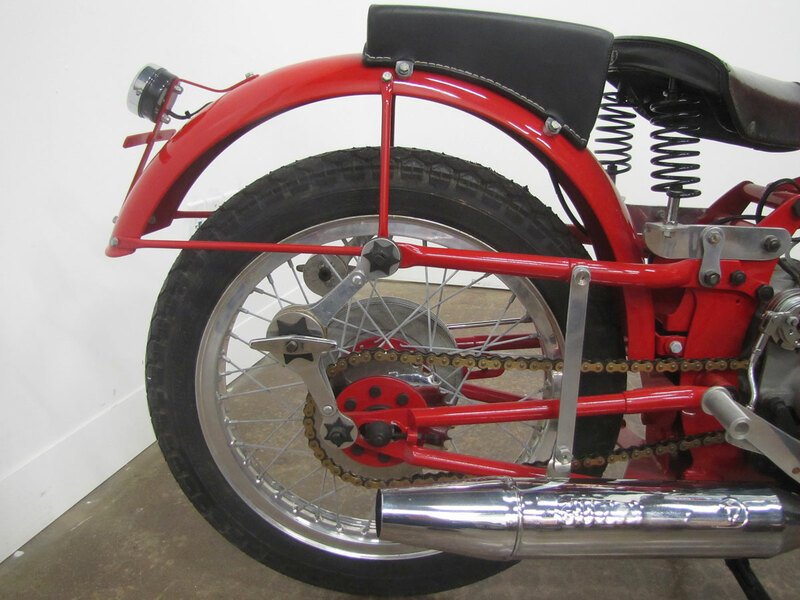 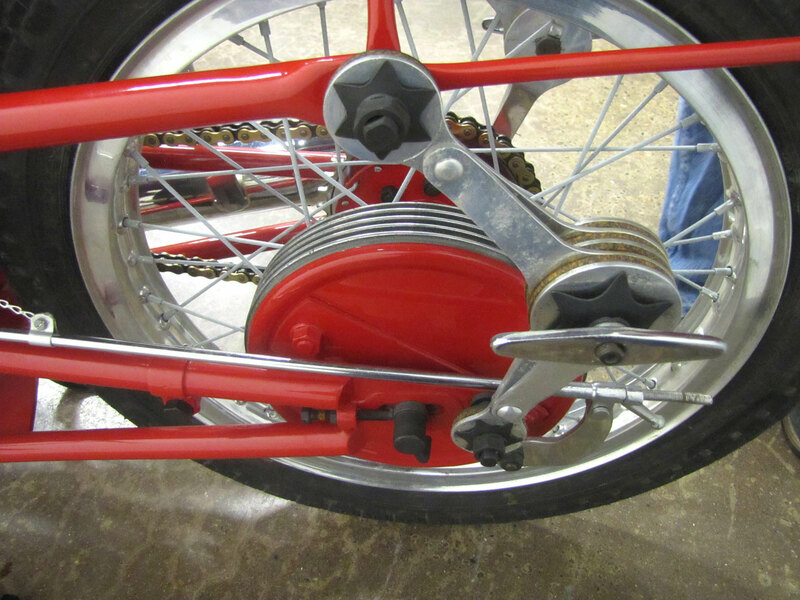 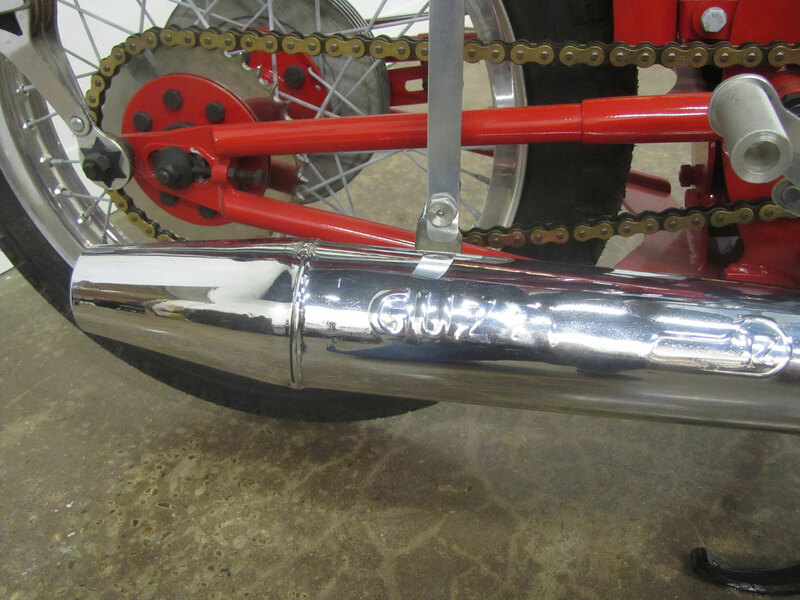 It used an interesting “knee action” friction damper system typical of early cars, and placed the springs almost out of sight under the transmission; Harley-Davidson Soft Tails and Buells use a similar layout. 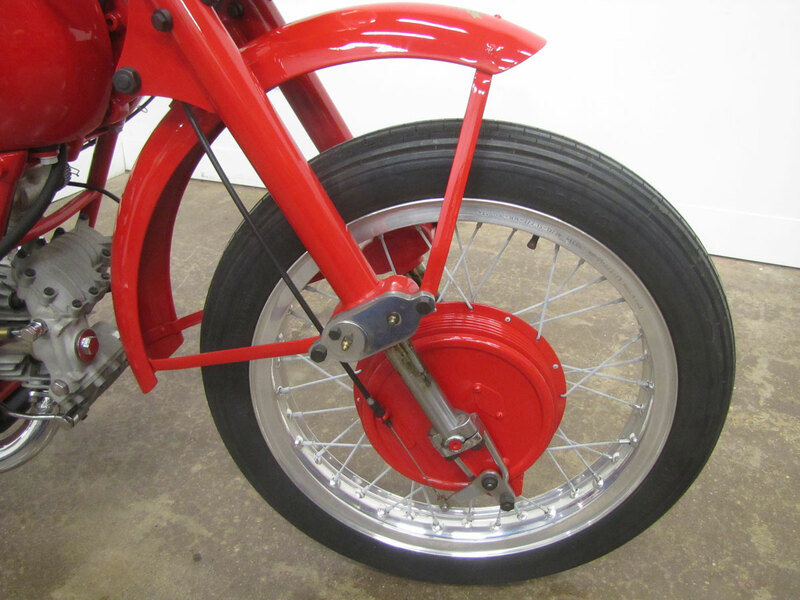 Also interesting is that Moto Guzzi early on used what we now call “upside down forks” which reduce unsprung weight. 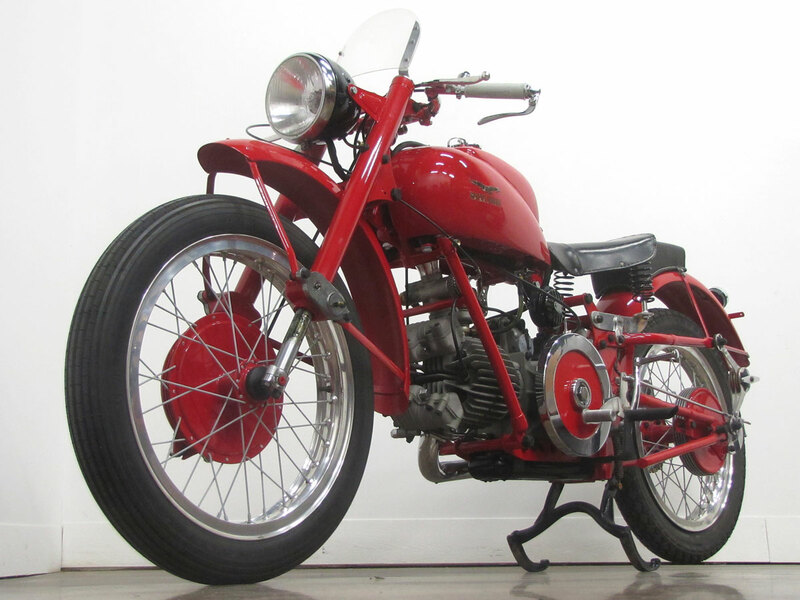 Soon after it was formed in 1921, Moto Guzzi began making and competing with racing motorcycles as a form of advertising. 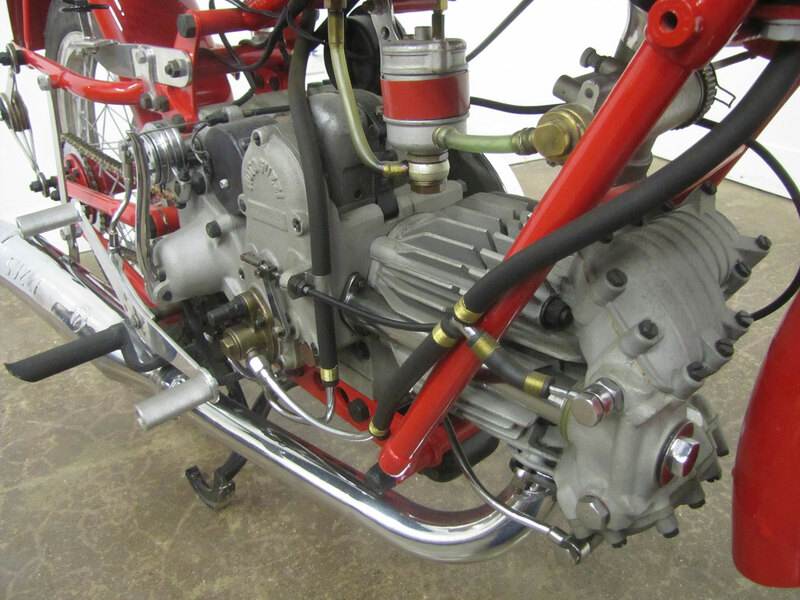 Over time they took eight Gran Prix championships and won 11 Isle of Man races. 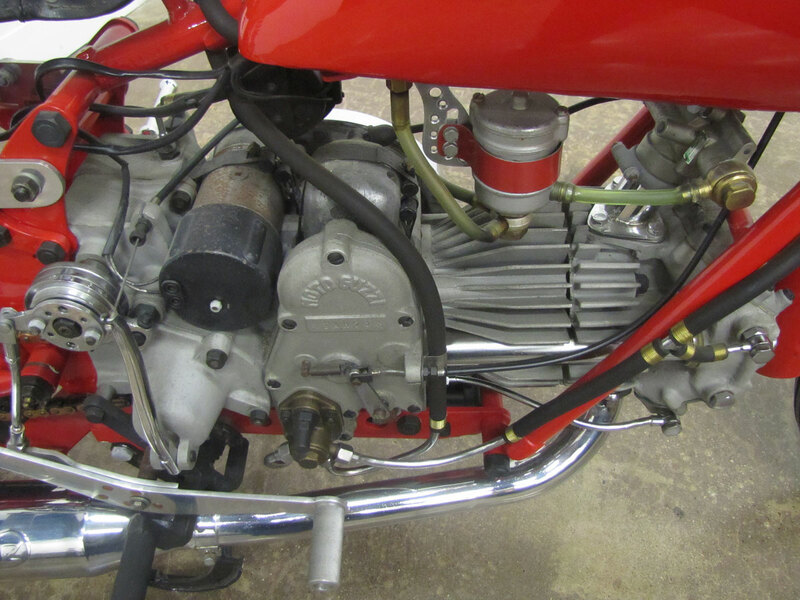 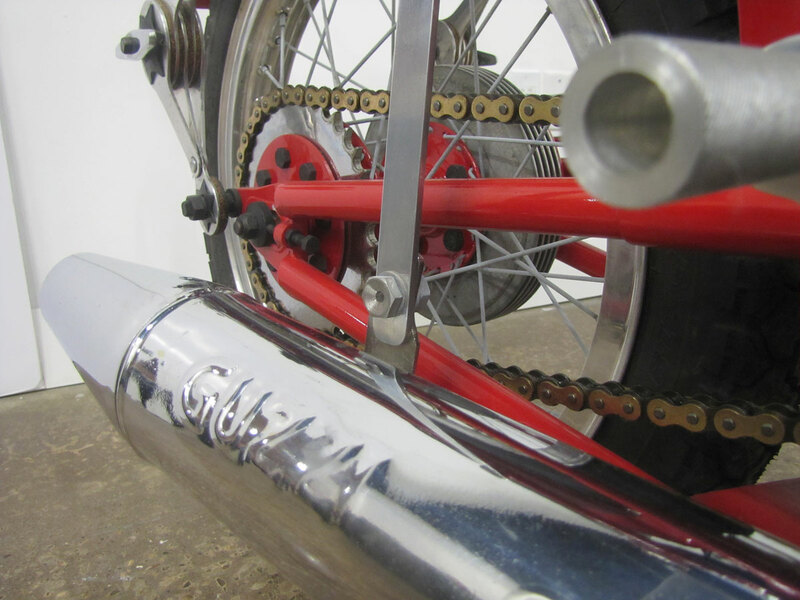 Also to their credit they developed an exotic 500cc V8 grand prix engine for a “dust bin” era road racer! 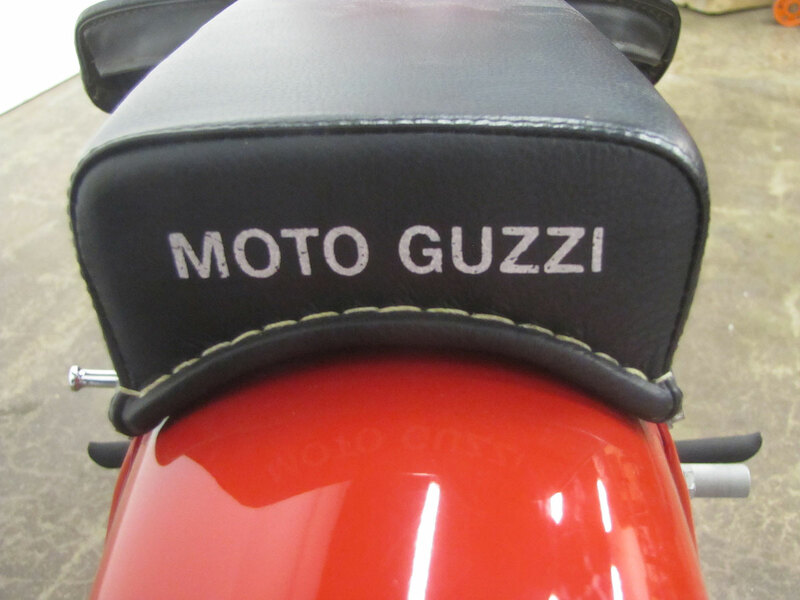 Today along with Aprilia, Moto Guzzi is owned by Piaggio, the very successful Italian scooter manufacturer. 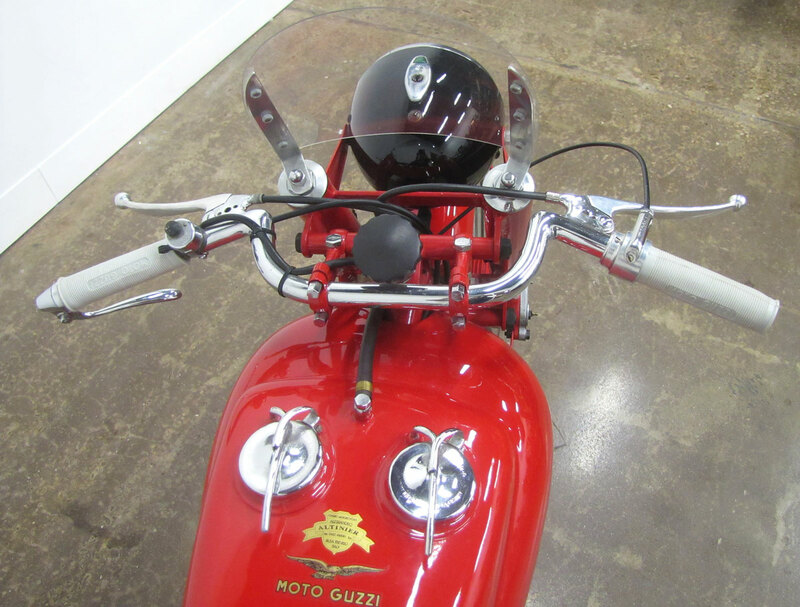 Moto Guzzi’s shaft drive, longitudinal crankshaft V-Twin developed in the late 1960’s remains the mainstay of the current line-up. 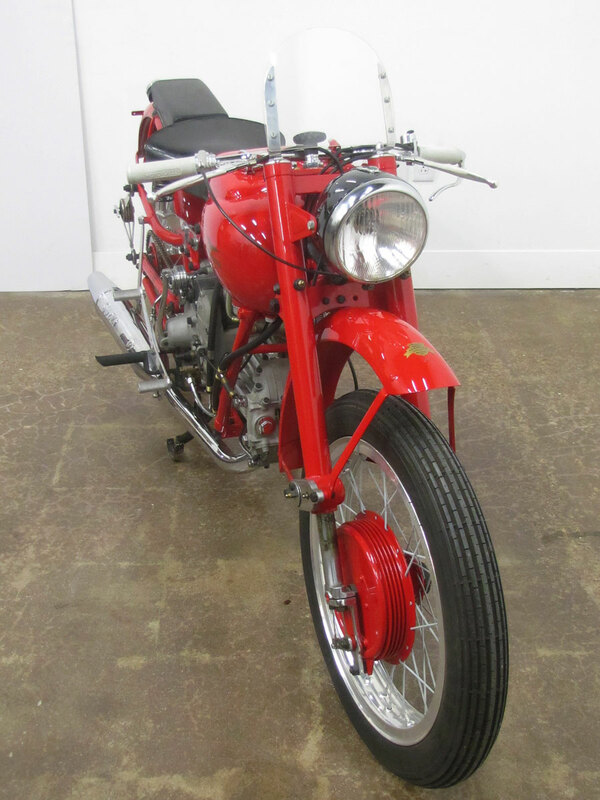 This Falcone is one of many Italian motorcycles and scooters on display at the National Motorcycle Museum.